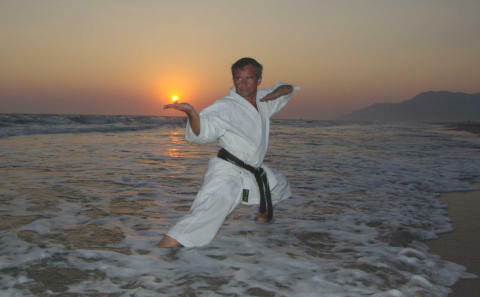 Herbert Haß, born 17.08.1961 Id did start with martial arts in 1972, without a Dojo, without a teacher and without a Karate suit. I did use the little tool house in the garden as a dojo. With self made training tools, self made Kobudo weapons and a lot of innovation and motivation. Because my parents house did use oven, I did have a lot of Brikets for to smash. If you hang something free on a rope to smash it, you will easy find out if your technique has quality or not. As a Judo Dojo did open in my village I was in. Tough I was not really interest in Judo. But at this time nobody did know how much Judo is in Karate. 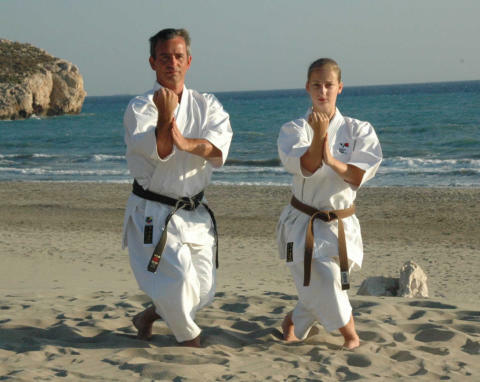 1976 I did start with Shotokan in a city 9 km far away from my village 1984 I found a Goju Ryu Dojo and in 1998 my favour for Shito Ryu 1999 I did start to teach Shotokan 2000 I did start to teach Shito Ryu During a journalistic work for the Bavarian Karate Federation I found the way to the competition scene. And 40 Years old I did my first Kata competition. From 2002 to 2013 I mainly was active as a coach for competitiors For some time I was technical advisor for the slowakian national team. But mainly I did teach Franziska, Karolin and Julia Kurz. For more than a decade the sisters played in the first row. Franziska Kurz became WKF European champion in 2007 in Izmir. 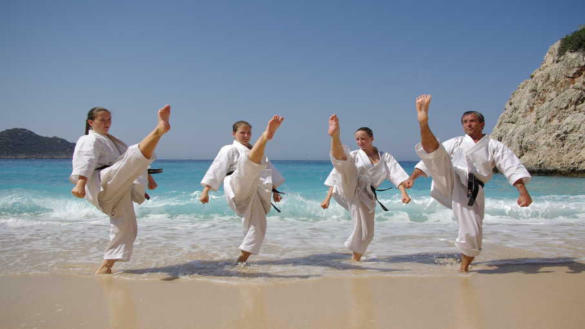 And as a Kata team they won a number of international titles, like the first place of WGKF World Championships. 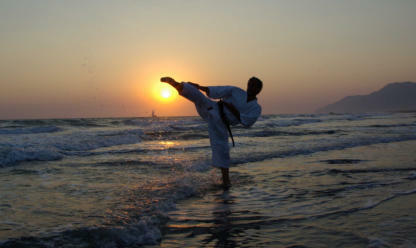 From my first steps in Arashi Dojo in Koblenz, the research of Kata was my interest. 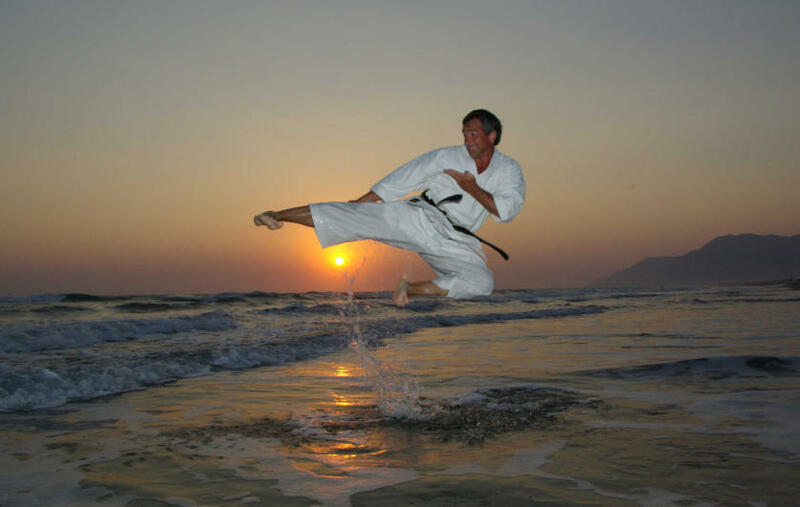 On the end I did collect all Kata of Goju Ryu, Shito Ryu and Shotokan. What was it good for? A very good memory for movements. And a lot of knowledge about techniques and principles. Also a special kind of flexiblity. 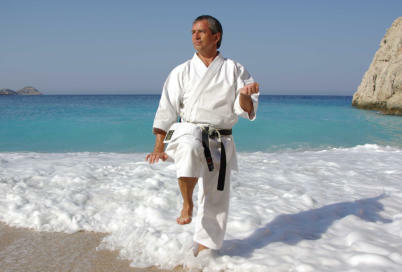 So I do a Kata not in order of the style, but following the spirit of the Kata. 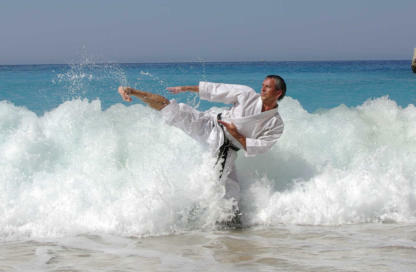 It’s possible to do a Kata or to live a Kata. But it’s not possible to live it, by you just doing it. Don’t know how many time I spend to do this website. All together (reports, photos, programming) I surely did need more than 1000 hours. Don’t know how to answer the question why I made it. Maybe because of a heart of a researcher and the wish to help to save knowledge.